STAR TREK At 50: Voyager - Blink Of An Eye | Warped Factor - Words in the Key of Geek. Blink of an Eye is my favourite episode of Star Trek: Voyager because it's just such a simple but clever premise. 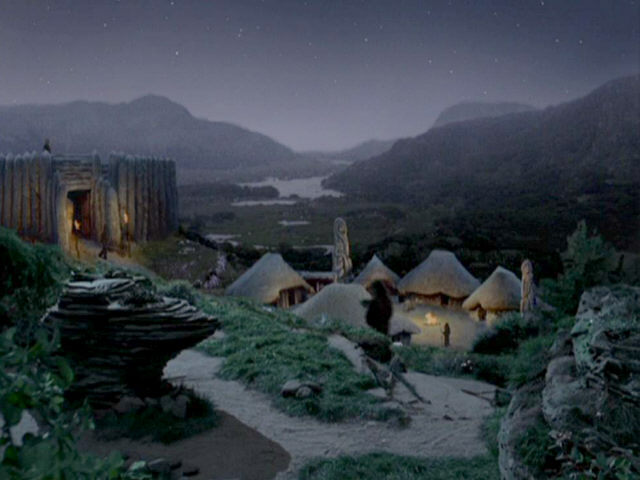 Voyager gets to witness the development of an entire civilization on a planet where time passes much faster than it does for the onlooking crew, and much of their development and culture is sparked by the arrival of Voyager herself. We, as a species, encounter other creatures on a daily basis who have a different perception rate to us, birds for example (we look slow to them), but to extend this to a whole planet was a genius idea. The episode opens with Voyager discovering a planet that's enveloped in a tachyon field, giving it an odd temporal nature. Fascinated by the strange world, and in an effort to learn more about it, Captain Kathryn Janeway orders the ship to move closer. However, Voyager is trapped in orbit by a magnetic field from which they cannot escape. Down on the surface a primitive race see Voyager's arrival as the arrival of a new deity which they dub "Ground Shaker" as Voyager's presence causes regular earthquakes. 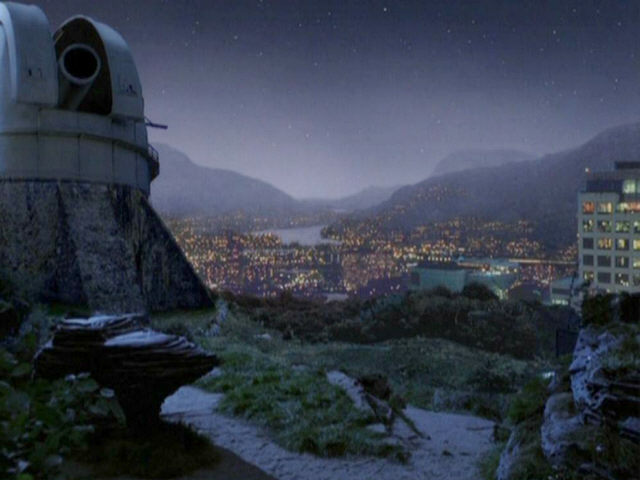 Looking down at the surface Voyager's crew notices that the seasons are changing very quickly leading them to believe that time passes much faster on the surface than it does elsewhere in the galaxy. Tuvok explains that the planet is rotating at approximately 58 times per Voyager-minute, meaning that a year passes on the planet about every 6 Voyager-minutes. 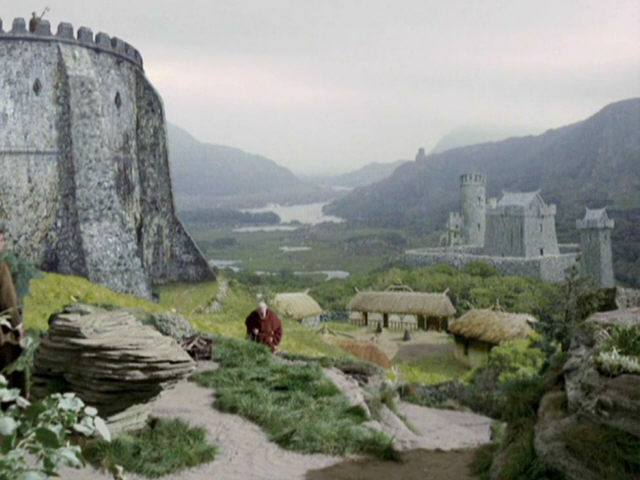 As hours on Voyager pass, centuries pass on the planet below and we see its humanoid inhabitants progress from the stone age to their equivalent of the Middle Ages. By the time they have reached a level of technology similar to the 20th century, a radio message is broadcast at Voyager. Tom Paris wants to reply, but Janeway counters that the species has still not developed warp technology and so a reply would be a violation of the Prime Directive. Instead, Janeway suggests a covert one-man mission to the planet. 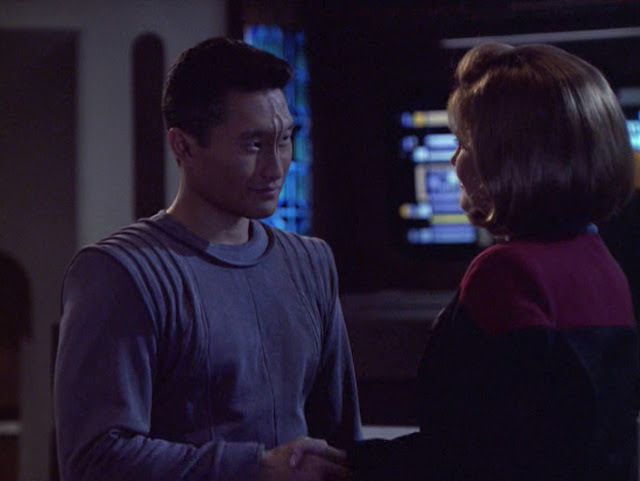 As he would not be affected by the change in the passage of time because he is a hologram, Janeway decides to send the Doctor to the surface to see if he can learn anything that might help them leave. It is intended to send him down for just a couple of days; which means only three seconds should pass on Voyager, but they have difficulty beaming him back on board and he ends up spending three years there. Upon returning the Doctor reports that Voyager, simply by its presence, has been a catalyst for invention, religion, music, art, and even children's toys. She has encouraged the culture to advance as the humanoids attempt to contact the "sky-ship", but warns that while some strive to establish peaceful contact others are developing increasingly powerful weaponry in an attempt to shoot down Voyager. Not much later the people have progressed sufficiently enough to develop rockets and manned space flight. They send two astronauts up to Voyager, a male and female, who begin to explore the ship but fall unconscious from the stress of adjusting to the different space-time. The bodies are found on the bridge and are taken to sickbay. The female's body can't handle the shock and she dies, but the male, Gotana-Retz (played by Daniel Dae Kim who gives a very strong and memorable performance), is successfully treated. After regaining consciousness Retz realises that everyone he ever knew or loved back on the planet is now dead. He reminisces and tells Janeway that when he was a child lying in his crib, his first memory was not of his mother's face, but of the sky ship toy hanging above, and begins to sing in nostalgic reflection, "Star of the night, Star of the day, come to take my tears away. Make my life always bright." As he trails off, he tells Janeway that it's a child's prayer to Voyager. Janeway hopes that Retz is not too disappointed in discovering that Voyager is merely a starship and not an all powerful deity. Retz replies, "How often does your very first dream come true?" It's not long before Voyager is hit by a bombardment of antimatter artillery, and Janeway urges Retz to return to the planet and convince them to cease the attack. Retz does so just as Voyager's shields collapse. As the crew sigh in relief, two starships appear alongside Voyager, and using tractor beams, tow the vessel out of the planet's field. 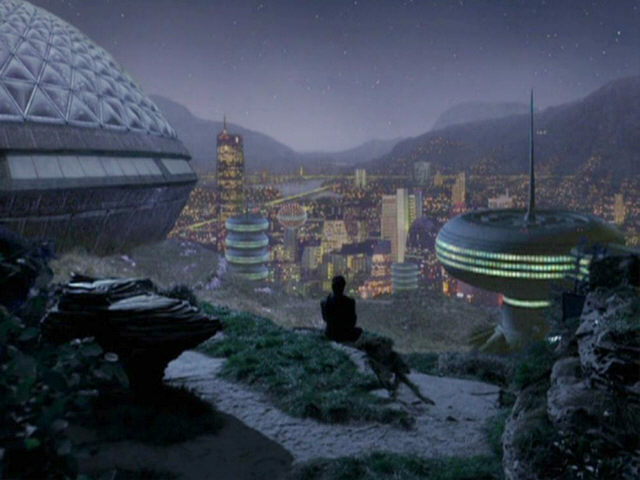 Retz briefly transports to Voyager, and Janeway thanks him and his people. 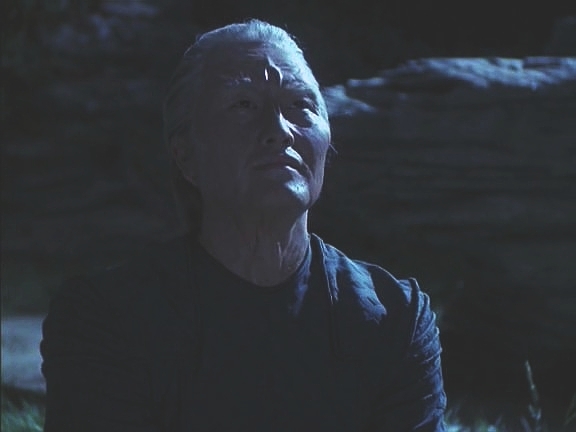 The final shot of Retz, now an old man, sitting on a hillside and gazing wistfully into the sky as the star that is Voyager winks out and vanishes is simply beautiful. Of course, the hillside Retz sits on now overlooks a vast technological metropolis. There are several obvious plot flaws, and times when the planet-time to Voyager-minutes do not really add up, but they are minor quibbles that do not harm the impact of the story. And it's a story that isn't made great by Voyager being stuck, rather by the vignettes of life we witness on the planet as it develops through their centuries and our Voyager-minutes. It's very much like playing a game of Civilization and watching events unfold as your tribes progress from stone age to the nuclear age in one evening.